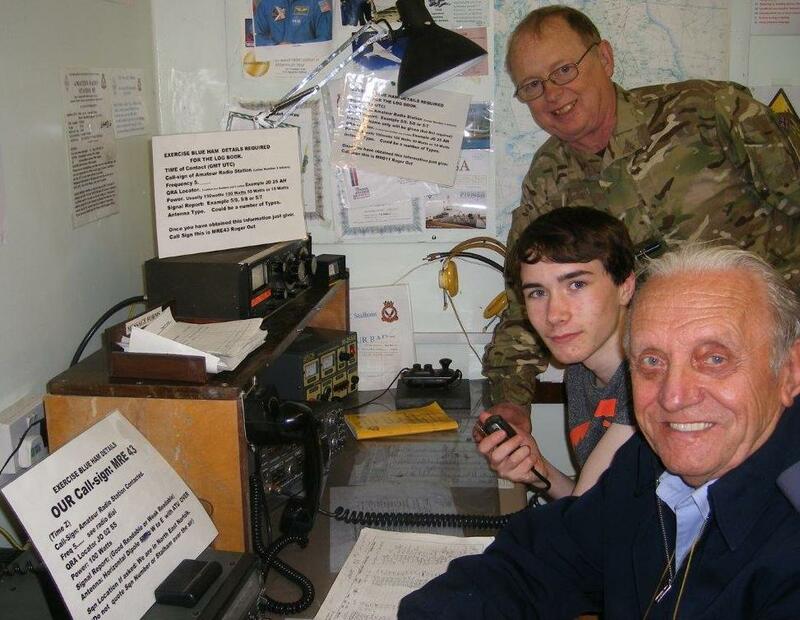 To celebrate the 75th Anniversary of the formation of the Air Training Corps (ATC) Exercise Blue Ham was run from noon on Saturday 18th to noon on Sunday 19th June 2016 using the 5MHz (60 Mtr) Band with the agreed nominated channels. Around the UK, ATC Squadrons, Wings and Regions set up and operated radio stations on the Band for the purpose of making contact with Radio Amateurs, the last time this ‘Exercise’ was run was back in 2000. With a slight change to the original format the Exercise brief was sent out, so that planning could begin to maximise the use of the Band with the right antenna and radio setup. With HF working conditions as they are at the moment, this was going to be a challenge for all taking part. From the data gathered during the Exercise the logsheets show quite a variety of different and diverse antenna and radio set-ups with quite a few Amateurs ‘operating out in the field’. This does not normally occur on this Band as most operate from their homes. Special callsigns for this activity were issued out to stations two days before the start and were only usable during the period of operation; this provided some interesting callsigns in everyone’s logbooks! The ATC setup 12 stations with an additional 1 Army Cadet Force (ACF/CCF) Station making 13 in total. Between the cadet stations they managed to log some 715 calls during the period of operation. Cadets and Staff who operated and logged details exchanged their callsign, Maidenhead locator, power, signal report, type of antenna and orientation promptly as at times ‘pile ups’ started to occur. Both Amateurs and the cadets struggled at times exchanging information due to some non-military phonetic alphabet being used, which cadets were not used to. Examples like ‘Radio’ instead of ‘Romeo’ and ‘Italy instead of India’ were used, however I feel sure that both sides enjoyed the phonetic exchanges and got everyone thinking. Feedback from the ACO/ACF stations that took part in the Exercise is that they enjoyed the time contacting the callsigns and being able to hop around the band using different channels to the ones they normally operate on and to be able, at times to have a constant rally of traffic which is not their normal radio operation. Looking at the logsheets we pretty well covered most parts of the UK with some European stations calling in. “We gained more knowledge and understanding of working antennas and with other groups of operators and their procedures, albeit slightly different to ours”. “The exercise was very useful, both as a training aid for cadets and as an interoperability experiment with the Amateur Community. Many cadets obviously having their first experience at radio operating, a few of them really needed a little more briefing before being let loose, but also many very good operators. “Since I typed feedback I have heard several amateurs on 80 metre nets saying how impressed they were by the cadets’ operating skills and interest in the stations they worked. There also seemed to be a feeling that only amateurs who had been alerted by internet publicity seemed to understand that it was ok to reply to the ‘Alpha Charlie’ form of CQ. Military and amateur voice procedures are like chalk and cheese. Military procedure is formal, standardised and concise. Amateur procedure is casual, ad hoc and verbose. Worth a note is that websites overseas published the details of Exercise Blue Ham, in America, Germany, and Holland so there was a wide audience of listeners as well as operators. A special mention goes to Cdt Sam Brooker for the amount of contacts he made during his period of radio operating in the station (1000hrs to 1800hrs on the Saturday and 1000hrs to 1200hrs on the Sunday). Cdt Brooker is a holder of a ACO Silver Communications Award so was able to put his radio training to good use by talking to Licensed Amateurs and other Cadet Force stations. This was a National Radio Event and it is hoped that another such Exercise will take place in the near future. On the following Monday No 1132 (Stalham) Squadron HQ were pleased to receive a visit by the Central & East Regional Radio Communications Officer – Flt Lt David Webb, RAFVR(T) in which he discussed how the Exercise went and how successful it was for the Team involved and listened to the feedback and comments which could be valuable for the future planning of another Exercise. Cdt Brooker said ” I am pleased with the outcome of the Exercise and look forward to doing it all over again, I have gain some valuable operating time and experience as well as enjoying it in the process. I have managed to speak to a lot of different people from many parts of the country”. Picture below (top to bottom) Flying Officer Phil Barber RAFVR(T)- Squadron Officer, Leading Cadet Sam Brooker and CI Terry Owen – Squadron Radio Officer taking part in the Exercise and shows the Radio Set up at their location. During the next Air Cadet Radio Communication Committee (ACRCC) Meeting in July 16, an Ex Blue Ham debrief will be carried out and we will be providing further updates via the media regarding details of if the Exercise can be run again and when. Finally the Organisers would like to thank the effort and time put in by all callsigns to participate in this unique Exercise to celebrate the ATC’s 75th Anniversary year. 73 from all of the ATC Staff and Cadet Radio Team. Report Editor – Flt Lt David Webb, RAFVR(T), Central & East Region Radio Communications Officer.